This bracelet is great for those learning bead crochet, as well as those more experienced. Using 8/0 Miyuki beads and 2-ply nylon cord, the bracelet works up quickly. Pressed Czech flower beads adds interest to the “vines” entwining the bracelet. 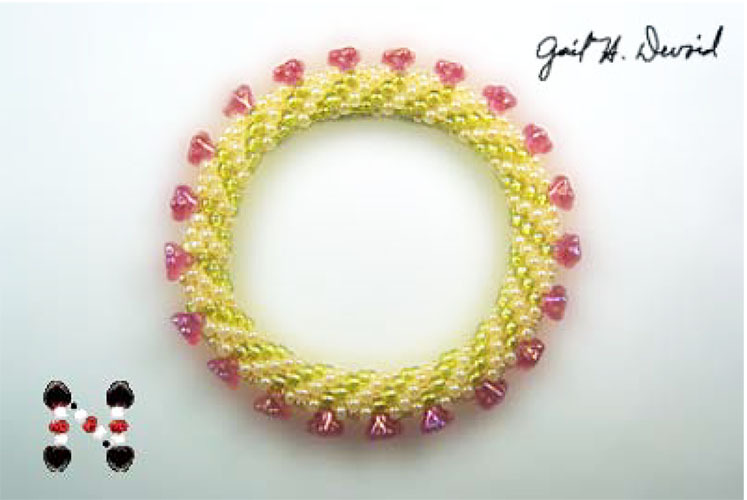 Instructions include directions for an easy start to the bead crochet tube, how to do an invisible join, and how to complete the bracelet with an optional toggle and clasp. Project can be done in four hours.